Time Out is a dignified and effective method of discipline, endorsed by the American Academy of Pediatrics and the American Psychological Association. This book, written by parenting experts, explains the Time Out process and provides step-by-step instructions for its proper and effective use. 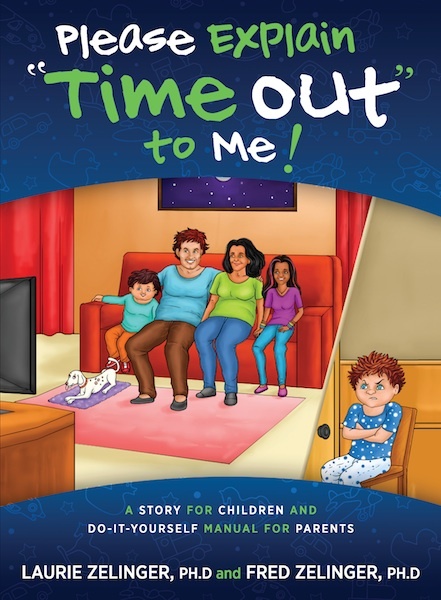 Please Explain “Time Out” To Me is two books in one: an engaging story with colorful illustrations and a parent section which describes the Time Out process in detail, as well as the advantages and pitfalls of other methods of discipline. Drs. Zelinger book is clearly informed by literature and both clinical and personal experience. Its simplicity and ease-of-use and understanding allows for broad reach to all parents that face the normal challenges in raising children. The story to help the child understand makes this book unique, as well as the “fixer box” concept. Behavioral difficulties often stem from struggles around feeling in control. This book gives a concrete, more adaptive path for both parents and child to feel in control. — David Salsberg, PsyD, DABPS Clinical Neuropsychologist; Director, Pediatric Assessment, Learning & Support (PALS), New York, NY. In Please explain “Time Out” To Me, Drs. Laurie and Fred Zelinger offer a clear, concise and insightful look at the often misunderstood and misinterpreted concept of time out. 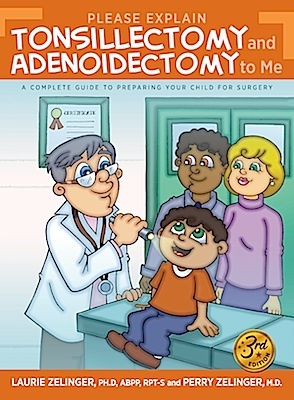 Combining colorful illustrations and story line for children and step-by-step guidelines and principles for parents and adults, the book has unique appeal to both. I highly recommend this book, particularly to parents foraging through the tangled, complicated and sometimes scary web called parenthood. As a child psychiatrist, finding parenting books that are straightforward, helpful, and concise is a rare find indeed. Drs. 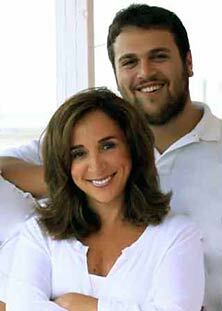 Laurie and Fred Zelinger offer just that in Please Explain “Time Out To Me”. In its pages, they harness their expert clinical experience and judgment and offer it in a relatable, engaging, and entertaining way. I highly recommend this book to families who are struggling with the difficult journey of growing up and managing problem behaviors along the way. Thumbs up for Drs. Zelinger’s book on explaining time out to kids. As a busy working mom with six children, I have used time out effectively. I would recommend reading this book to help understand the benefits of time out for both parents and children, and the effectiveness of time out as a learning tool. Drs. Zelinger’s thought out story will be a helpful, useful contribution for kids, parents and teachers. How do I stop my kids worrying about the big bad world? 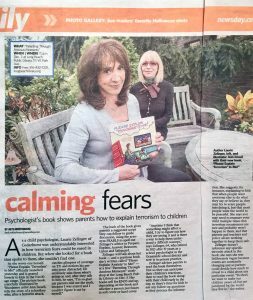 This book provides the ‘PEARLS’ of wisdom for parents and children to discuss a scary topic like terrorism in ways that promote healthy and authentic parent-child conversations that yield to mutual respect and bonding. In her captivating new book, Dr. Laurie Zelinger, a leading expert in child psychology, explores the troubled realm of terrorism from a child’s perspective. Deep and yet accessible, her remarkable deciphering of the psychological factors that hinder the free communication between parents and children on terrorism is compelling. It deals with an intrusive scourge, which stands in a blatant contradiction to the rather radiant child’s universe. This fascinating guide amounts to a riveting lesson of clarity and to a masterpiece in bridging the unbridgeable. This forthright and calming story clarifies the nature of terrorism for children ages 7 to 11. An afterword for parents offers guidelines for parents about how to dialogue with their children on this important topic. Highly recommended! As a parent, it can be challenging and overwhelming to find the words to talk with your child about frightening and potentially traumatic events such as acts of terrorism. “Please Explain Terrorism to Me” meets this need and is likely to become an invaluable resource for parents and other caregivers to help guide these critical conversations. “Please Explain ‘Terrorism’ to Me” is a straightforward and down-to-earth treatment of a difficult subject. Dr. Zelinger uses common sense, a simple clarification of the basic issues, and reassurance to provide a deeper understanding of terrorism for kids—without a corresponding rise in anxiety. Dr. Zelinger provides caregivers with “P-E-A-R-L-S of Wisdom” in her honest, developmentally appropriate approach to a terrifying topic. This book is an essential resource to ensure that children are provided straightforward information in a sensitive fashion to an issue, all too often ignored. 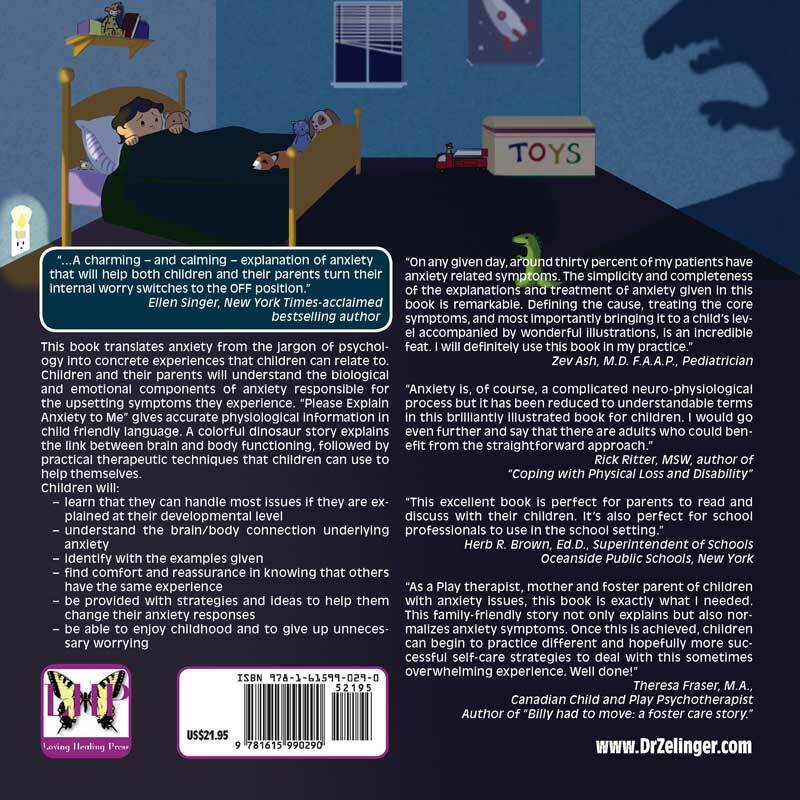 Dr. Zelinger opens up the Pandora box of ‘Terrorism’ delicately and with great sensitivity as she brings awareness, tools and answers to children growing up in our ever changing world today. 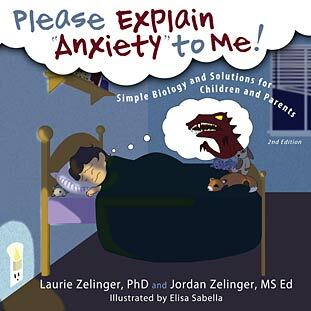 Dr. Zelinger’s book magically fosters, promotes and encourages conversation and social skills. This is a powerful and valuable book for children and adults. With bombings and shootings so frequently in the news, Dr. Zelinger’s book is a timely source of guidance to parents on the importance of explaining terrorism to their children. It’s full of great advice on listening thoughtfully and understanding your child’s perspective. From the back cover: Has a bad day got you down? Is your self-esteem making you feel blue? 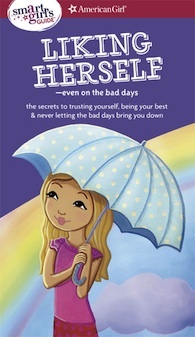 In a smart girl’s guide to liking herself–even on the bad days, you’ll learn how having high self-esteem can turn a good day into a great day, while having low self-esteem can turn a bad day into a nightmare. You’ll learn tips for trusting yourself, ideas for boosting your self-esteem (or for keeping it up), and how to feel your best in all kinds of situations. You are perfect just as you are, and this book will help you believe that to be true!